26 of the best car games for kids, no screens required! Taking turns telling a story, sentence by sentence, can be a really fun (and funny) way to engage children of any age — and adults too. It really never gets old because every sentence is a new opportunity to get to something sillier than before. I also like that it’s a game the driver can play since your eyes can stay on the road the whole time. 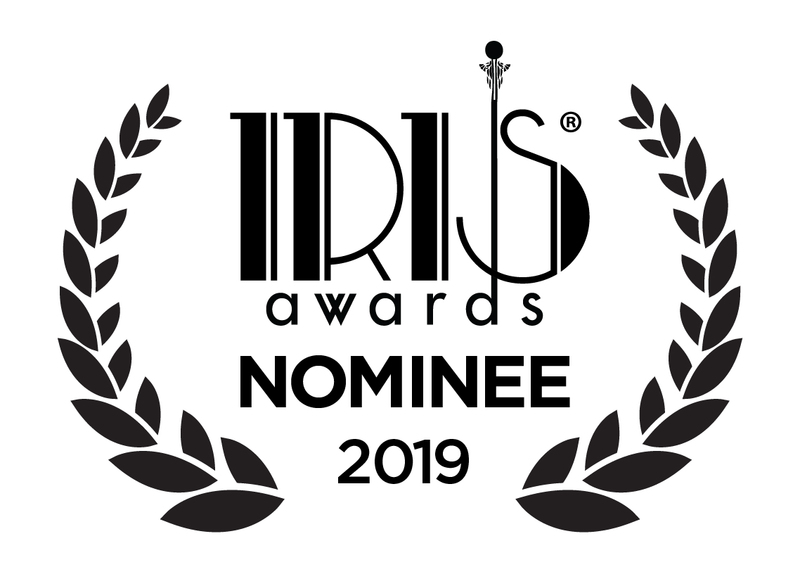 However if your family needs a little help getting the storytelling juices flowing, we love Rory’s Story Cubes, which are like little story prompts in dice form. 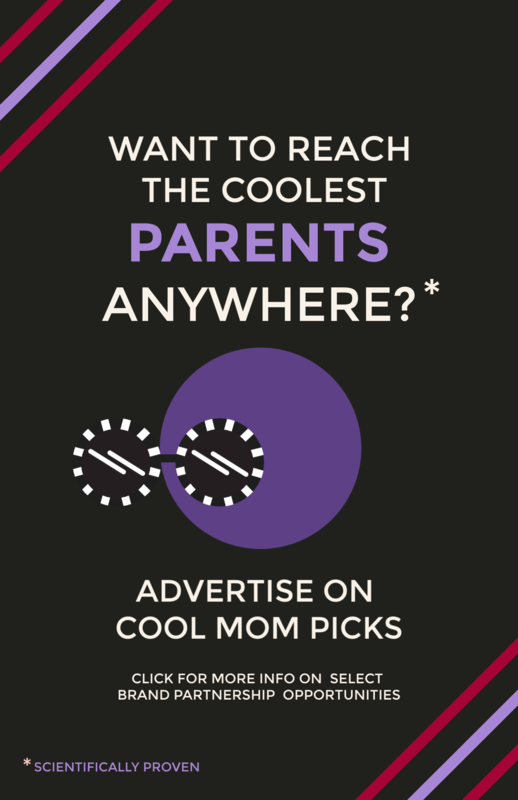 Since we covered them six years ago, they have exploded into over 10 versions, so pick the one you think your family will enjoy the most– just be sure that the driver isn’t the one in control of the dice! Yes, all you need to play this classic word guessing game is a pencil and paper (and a slightly morbid sense of humor) or even a Boogie Board writing tablet. 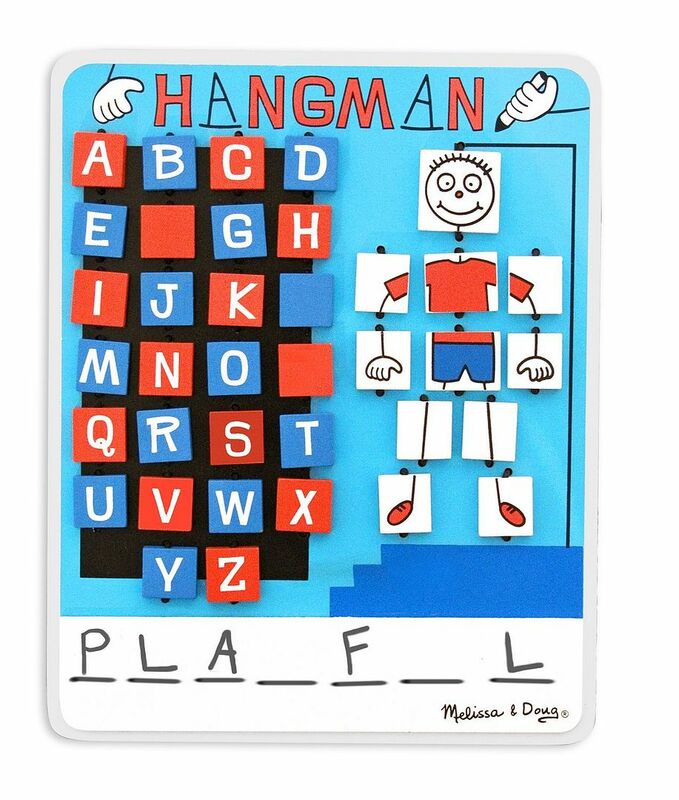 As an alternative, check out Melissa & Doug’s Travel Hangman game which makes it so easy for kids to play while on the road, with wooden-flaps that stay attached to the game board and a self-storing dry erase marker that is always ready for play. Traditionally, we used to just jot down the initials of all the state license plates we saw along our road trip to keep track. 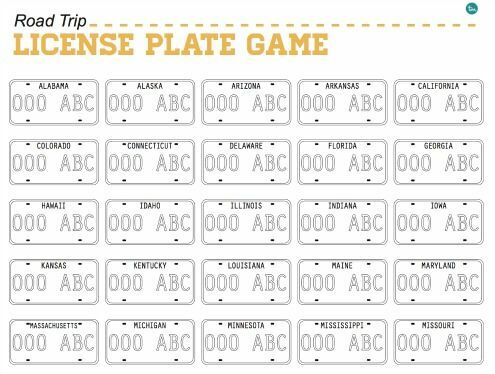 But what might be more fun for the kids is using the free printable license plate game from Today’s Mama. 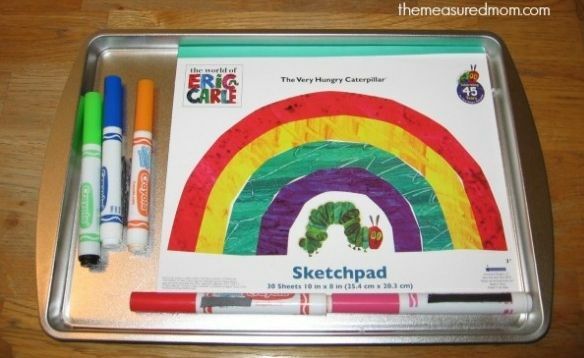 Ask your kids to color in the plates to match the ones they’ve noticed on the road. If you keep these pages in your car over multiple road trips, your kids may get pretty close to seeing all 50 states — and maybe even bonus plates from the Canadian provinces, Guam, or the US Virgin Islands. For young kids who can’t quite distinguish all the license plates just yet, let them pick a color, then count all the cars you see in that shade. Bonus points for trucks or other larger vehicles in their color of choice. This can be played cooperatively or competitively, depending on the mood in the car and the age of your kids. Need a little peace and quiet? Try packing some sticker books when “playing together” has gotten old. 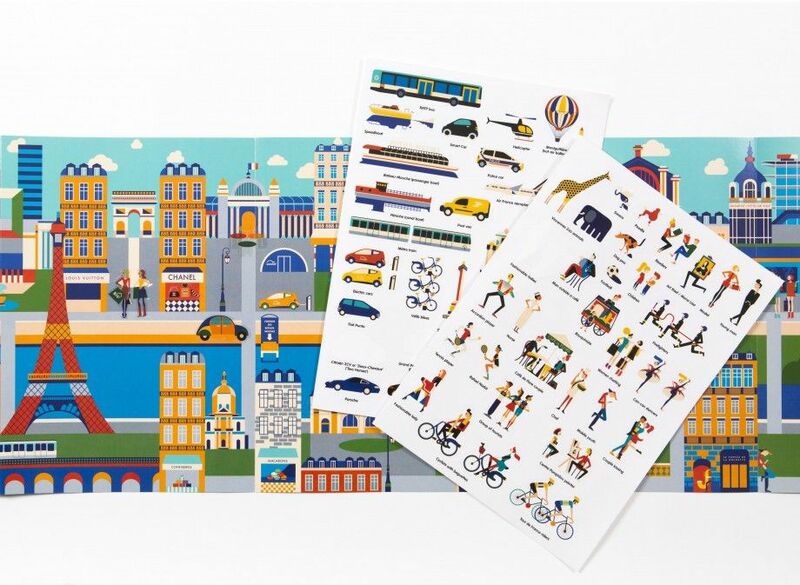 I love the travel-themed sticker books from Stickyscapes that are so cleverly illustrated, they make it fun for kids to learn about places like Paris, London, and New York. 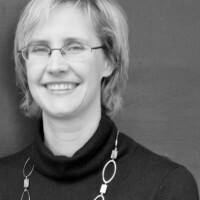 An oldie but goodie, one person thinks of a person, place, or thing and the kids get to ask up to 20 yes-or-no questions to see if they can figure out what that is. A must-play car game for kids on family road trips. Oh, and skip the traditional animal/vegetable/mineral categories because really, who ever picked a mineral? Oh, all the places we’ve gone can be captured in this clever travel timeline idea from Housing a Forest. 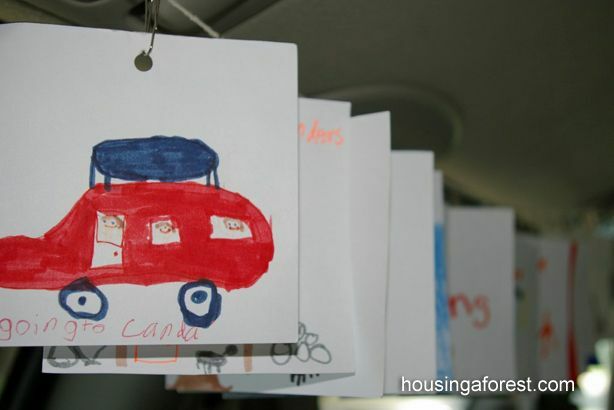 Let kids draw some of the best things they see outside the car window, or activities they want to do once they arrive at their destination. Or, perhaps they can draw a start to finish itinerary of the entire trip. You’ll have a pretty neat souvenir of your family vacation when they’re all done. 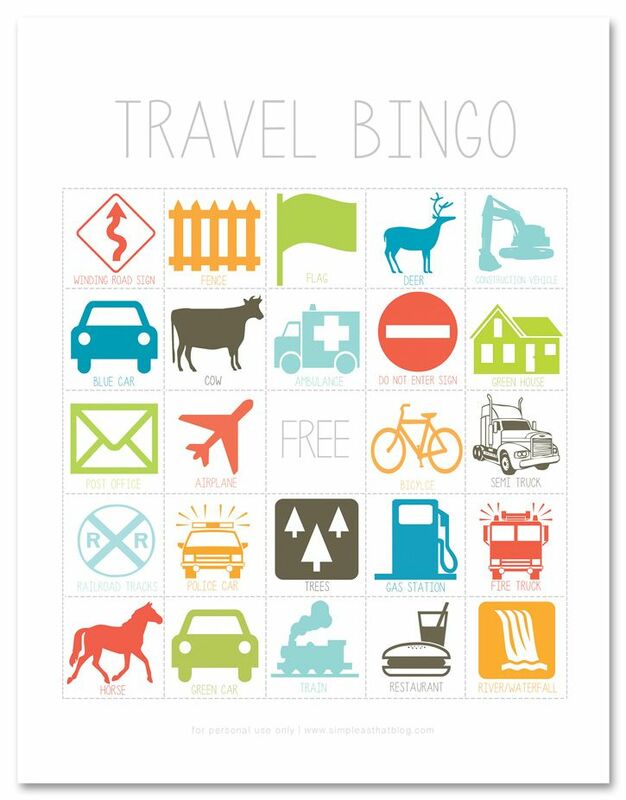 A variation on the scavenger hunt, the printable Travel Bingo game from Simple as That will make the miles zip by as your kids try to be the first to get five in a row. Keep a little stash of tiny treats on hand for winners — and runners up too — if you want to up the stakes. 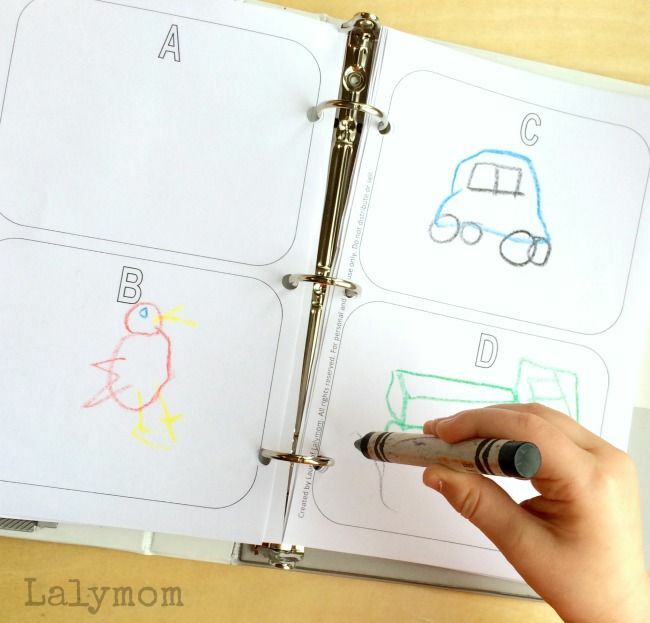 Print out a copy of this alphabetical roadtrip Pictionary game from Lalymom, and invite your kids to draw a picture of something they see out their window to match each letter of the alphabet. You might have to help them with “X” or get creative with how they can interpret it — but it’s totally worth the effort. My name is Alice, my best friend’s name is Abby, we live in Arkansas, and we eat Apples! A classic game that can go on and on and on…. Well, at least until Z, if you can all make it that long. Don’t forget to download your favorite tunes or grab your favorite CDs for the ride. Then, turn up the music for a family sing-along! If you need some help finding all-ages music, check out our list of great road trip albums. 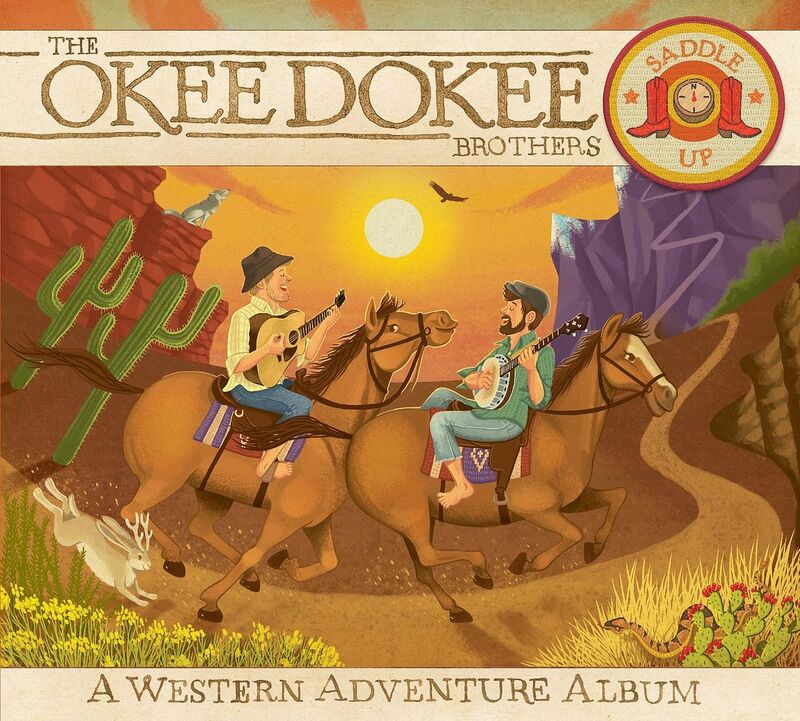 (The Okee Dokee Brothers album, shown here, is a personal favorite.) To make it more of a game, you can also try to put together a list of songs that all start with the same letter. 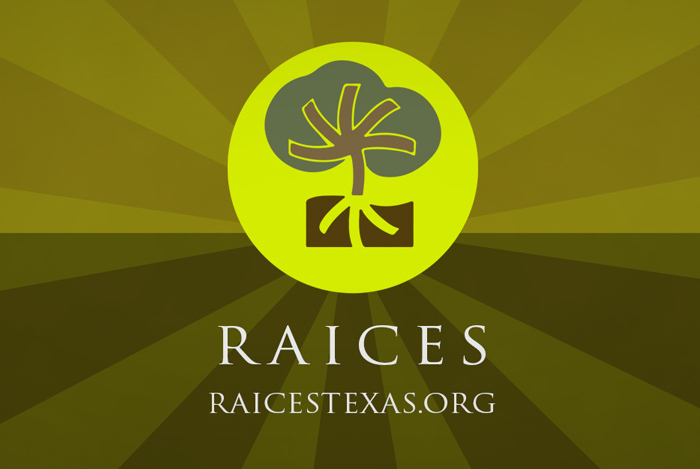 For slightly older kids with more of a music library committed to memory, this is a great one. Just chose a word like love, night, or baby — and take turns singing lyrics to a song that includes that word. You can play in teams or just go around the car as individuals. When you start to run out, move onto another word. Thank goodness for magnetic toys since our arms can only reach behind the seat so far to collect dropped game pieces. 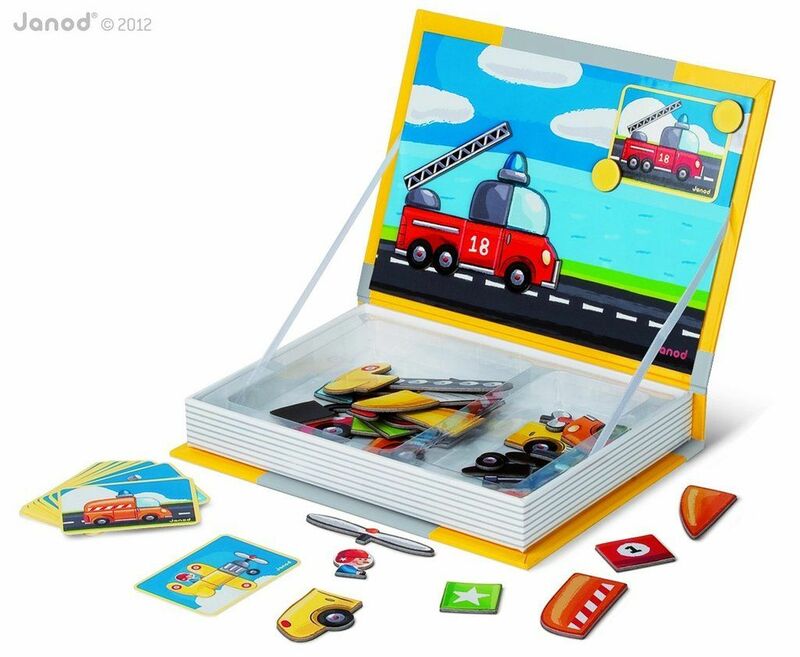 Check out our list of some of our favorite magnetic toys for travel that we’ve recently featured, including Janod’s Magnetibook, shown above. Really challenge the kids’ memories by adding to an alphabetical list of everything that is coming on a picnic. I’m going on a picnic, and I’m bringing apples, bananas, candy, donuts, eggplant... Can you make it to all the way to zucchini? 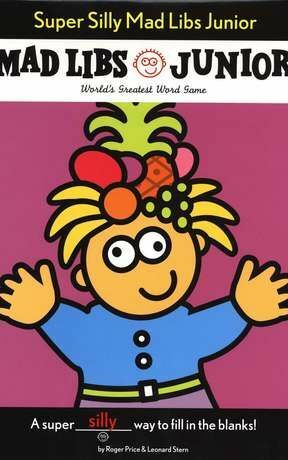 It’s a fast and easy game for littler ones to play along. 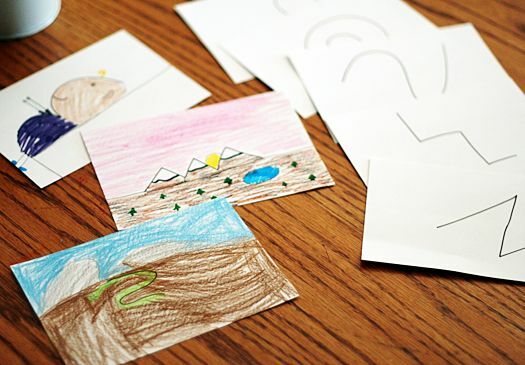 A pack of index cards and a few squiggly lines can become a mighty fun way to keep the kids busy . Check out Make and Takes for how her kids created stacks of squiggle drawings from single lines that you started. Not enough pre-travel time to draw your own squiggles? Check out the ready-to-go Squiggle On-the-Go pads we recently featured that come in loads of different styles. If you have some quick-thinkers in the backseat, the Fortunately/Unfortunately game allows them to be awarded for their sarcasm (for once). For example, one person might say, “Fortunately, I remembered to pack my raincoat.” The next person follows with, “Unfortunately, I outgrew that raincoat three years ago.” Keep following the “fortunately/unfortunately” format until your story comes to its natural end. Winner takes all bragging points. What can you spy with your little eye? 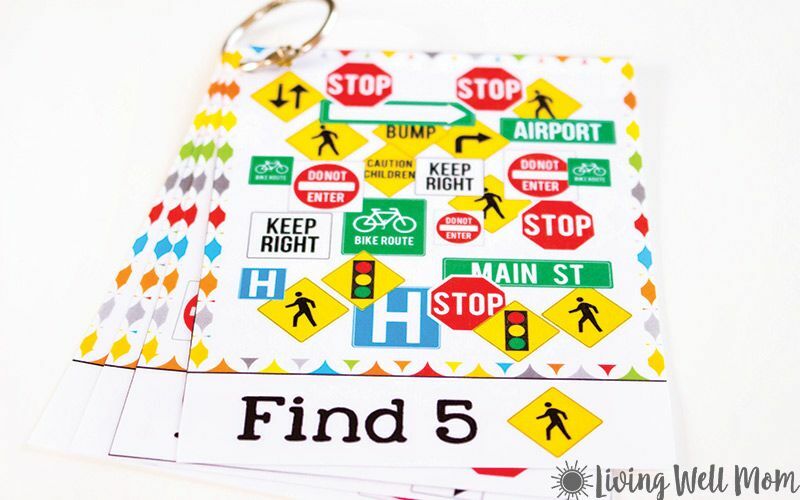 This printable variation of the iSpy game by Living Well Mom is a fun way for kids to check off everything they see out the car window. Plus, for our tweens, it’s a good way to sneak in a little Driver’s Ed. My family loves sitting back and listening to amazing stories together, so audio books definitely deserve a spot in this family road trips roundup. 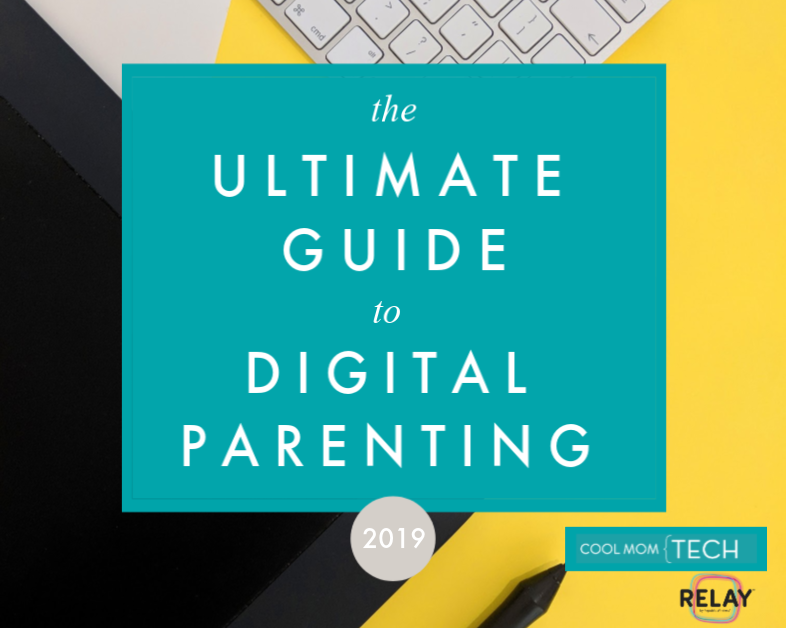 For younger kids, our post about the Best Audio books for Toddlers and Young Readers will give you some great options. And for older kids, check out a post I wrote a few years ago with some of the best audio books my family has listened to on our travels. 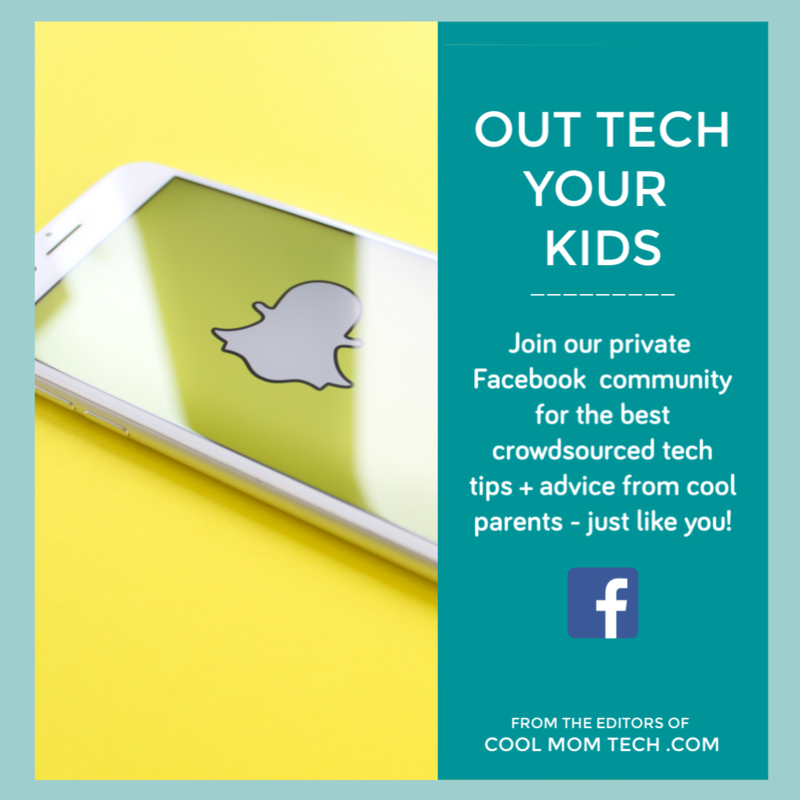 With so many different kinds of coloring pages out there — from gorgeous coloring books like the one above by Marisa Anne Cummings of Creative Thursday, to creative open-ended coloring books like PhotoPlay! — all you need to add are the crayons, and colored pencils. (We tend to avoid markers because those caps get lost so easily in the car.) 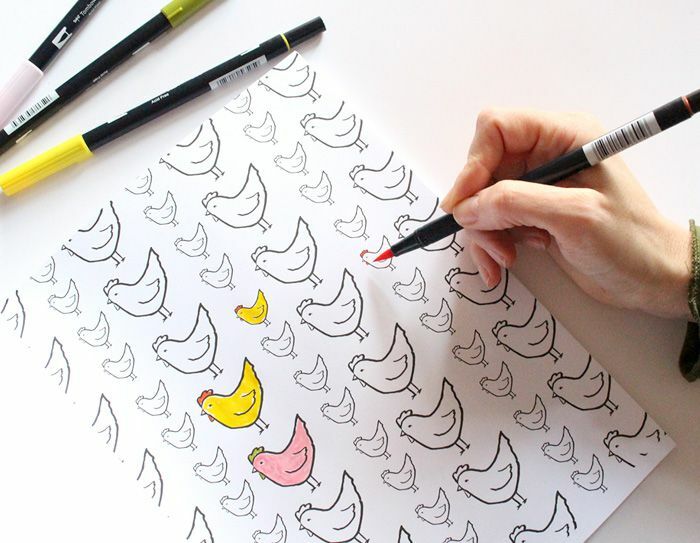 Grab a few adult coloring books for older kids, and everyone wins. 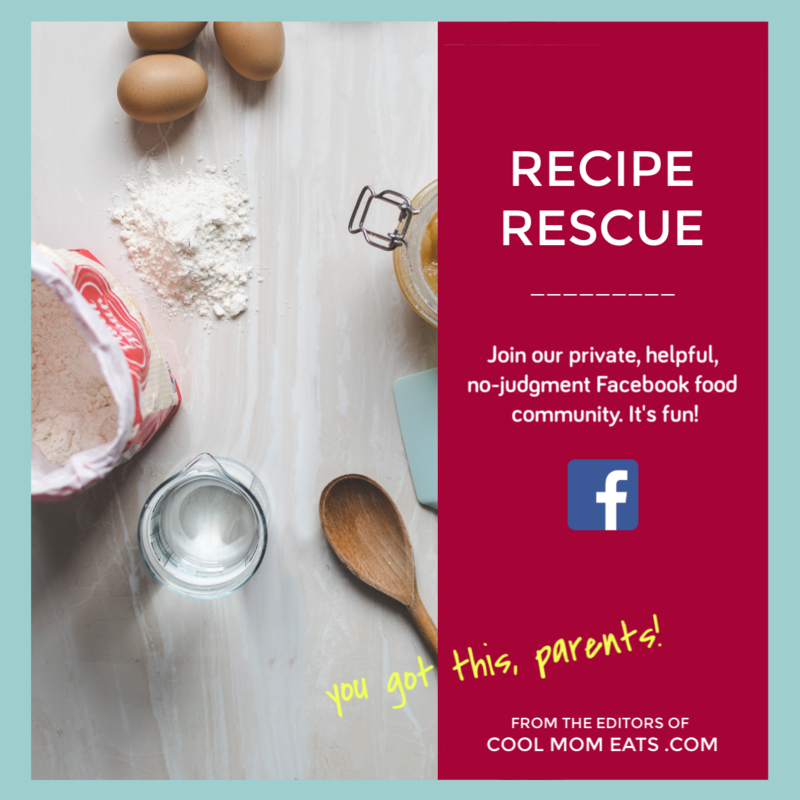 MadLibs has kept many of us doubled over laughing for years as we add the nouns, verbs, adjectives, and exclamations needed to finish up the silliest of stories. And no matter how many of these your kids have done, there are probably many more versions they haven’t tried yet. I love the Junior versions that let kids as young as 5 in on the fun too. Don’t forget the power of snacks to improve the mood of everyone in the car when the road seems never-ending. 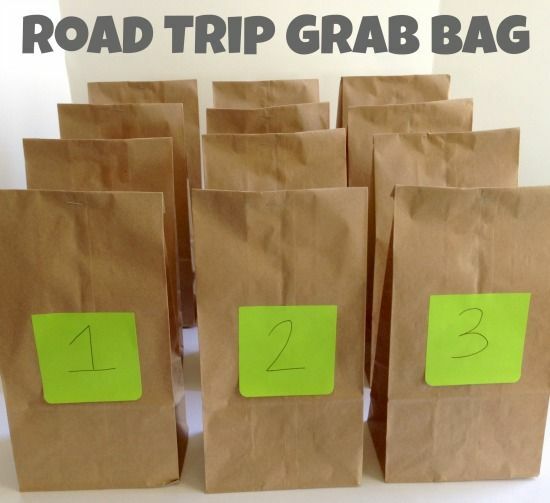 We’ve rounded up five brilliant DIY travel snack ideas, including this one from Eighteen25, for your kids that will fill little bellies and also keep them entertained for a little while. I’m lucky if I can get three kids packed before we have to hit the road, so I’m not one to also embark on assembling a complicated DIY craft for the kids to do in the car. That’s why I absolutely love this DIY Lapboard craft from The Measured Mom, which is about as easy as it gets. Once finished, your kids will have a nice little spot on which to draw without worrying about all their markers rolling to the ground. When I was young, we had all sorts of superstitions that had us acting out and laughing hard while driving down the road. See who can hold their breath the longest as you drive past cemeteries or through (er, non-congested) tunnels. Put your arms up in the air to “hold the roof” while going over bridges. Lift all feet up off the ground when bumping over rough roads. Moo at all the cows that are out to pasture. 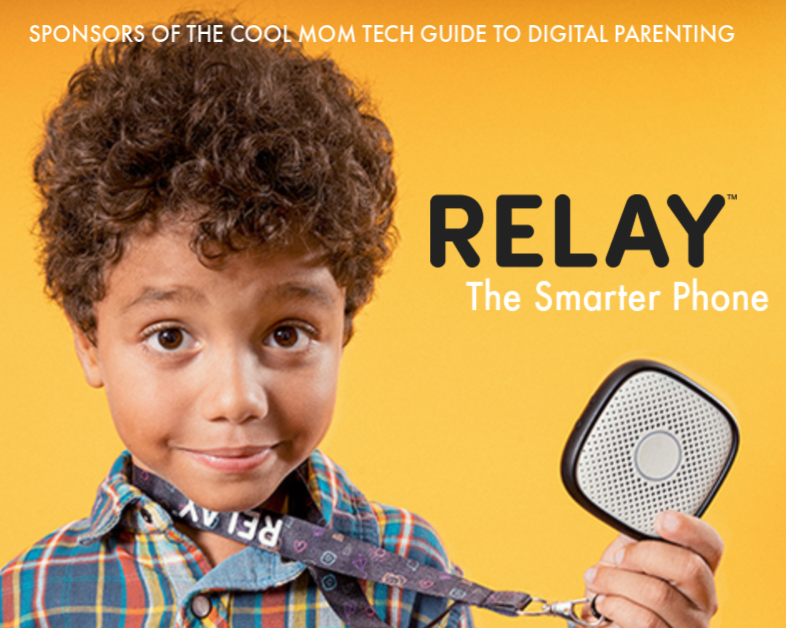 Or, make up your own rituals and you may someday hear your kids explaining the very same rules to their own children. 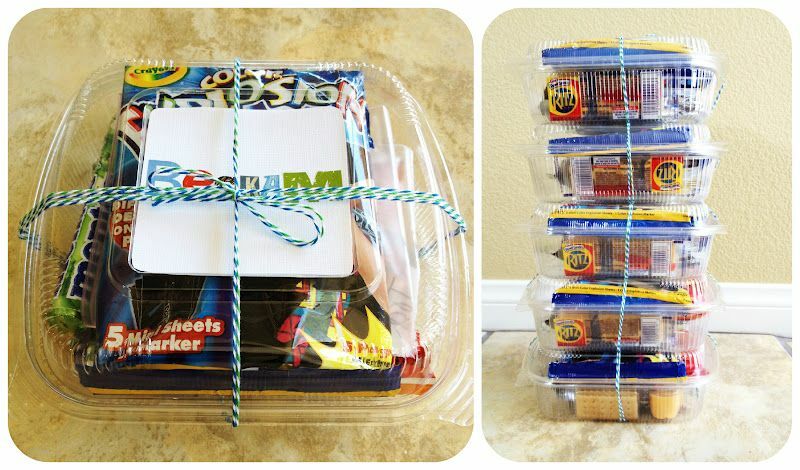 I like the idea of surprising the kids with little “gifts” to unwrap each hour, as shown on Make and Takes. 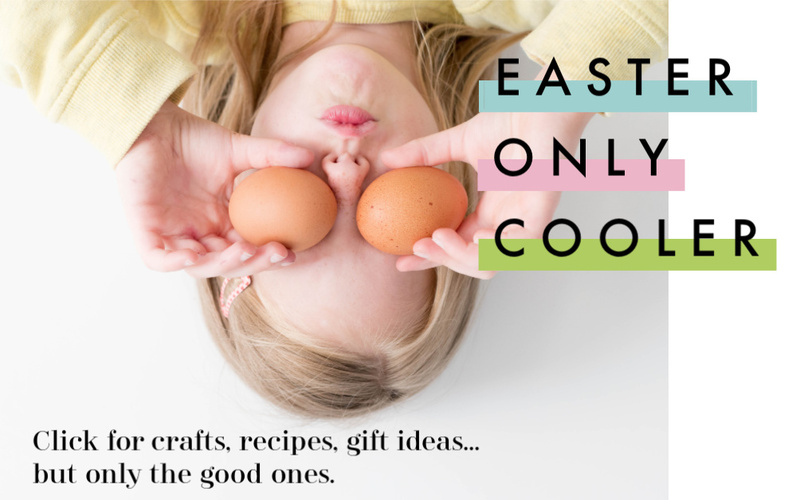 Skip the tchotchkes and include things they can actually use at their final destination: a new pack of sidewalk chalk, a new pair of swim goggles for the hotel pool, a deck of cards for rainy days. Even temporary tattoos, or a new pen for their diary or journal, will surely be a big hit.